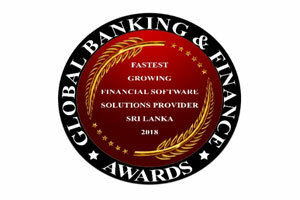 Global Banking & Finance Review is pleased to announce M I Synergy (Pvt) Ltd as the 2018 Global Banking & Finance Awards® winner for the Fastest Growing Financial Software Solutions Provider in Sri Lanka 2018. The awards honour companies that stand out in particular areas of expertise in the banking and finance industry. M I Synergy (Pvt) Ltd was awarded Fastest Growing Financial Software Solutions Provide in Sri Lanka 2018 because of the company’s outstanding performance and achievements. The Global Banking & Finance Awards® honour institutions that stand out in their particular area of expertise in the finance industry. They recognize achievement, challenge, progress and inspirational change in finance globally. Global Banking & Finance Review is a leading online and print magazine, which has evolved from the growing need to have a more balanced view for informative and independent news for the global banking and finance industry. It is reflected in the quality and in-depth insight provided by our experienced contributors in a clear and concise way. We have objective and respected editorial contributions from all major sectors, such as Banking, Technology, FOREX Trading, Asset Management, Corporate Governance, Islamic Finance, Project Finance, Mergers and Acquisitions, Tax and Accounting and Inward Investment; all under one global umbrella.